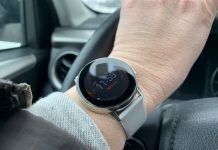 I am on the lookout for a new Android Wear (now Wear OS) watch so I’ve been looking at quite a few and thought it would be helpful for myself and you to have an easy to follow comparison guide of some of the most popular Android Wear / Wear OS watches out there right now. Just know that I focused on non-LTE versions and only 3 on this list are upgrading to Wear OS from Android Wear 2.0. I’ll be discussing the Ticwatch E & S, Huawei Watch 2, Misfit Vapor, and Asus Zenwatch 3. The Ticwatch E and Ticwatch S from Mobvoi are the most affordable Wear OS watches available right now. Their best selling point is their affordable price tag with the full retail of the Ticwatch E at $159 US and the Ticwatch S at $199 US. The difference between the E and S is that the E has a less sporty design and the bands are easily changeable. The S has a strap with a GPS antenna built into it so the strap can’t be changed. The S is supposed to have a more accurate GPS because the antenna is larger, though I haven’t found any tests to confirm that is truly the case. The Huawei Watch 2 is a step up from the Ticwatch E & S in build quality and specs. It is available in several different styles. It is available in an all plastic version and a more classy stainless steel version. Prices vary quite a bit depending upon which seller you choose and style. The Huawei Watch 2 has many of the same features as the Ticwatch E & S but is an upgrade in build quality with Gorilla Glass for the display, a higher IP68 waterproof rating, and NFC support. The classic version also features stainless steel for a more premium look and feel. This is a Wear OS watch that has caught my eye because of its looks. 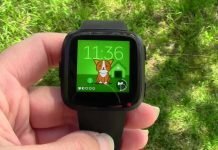 While I love using my Ticwatch E, sometimes I’d prefer a more traditional build quality. I’m talking metal here and the Misfit Vapor features a brushed stainless steel watch casing in several different colors. 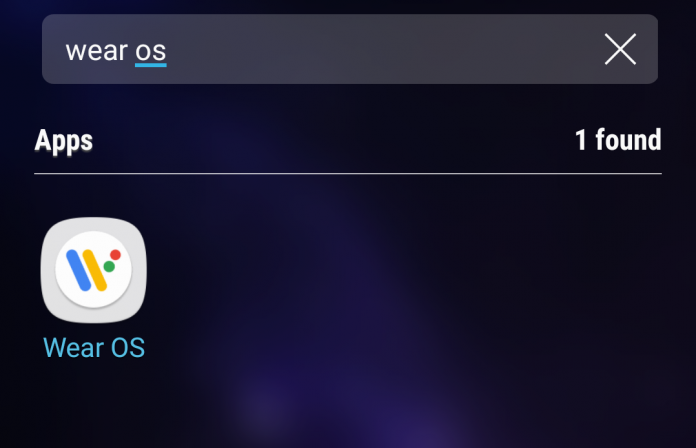 While the Vapor has a lot going for it, it is missing some key features that I prefer such as built-in GPS (it uses connected GPS) and a speaker. It does have a mic but no speaker. However, it does have a very good waterproof rating, 5 ATM (up to 50 meters) and a nice look to it. Right now, I’ll be sticking with my Ticwatch E. For one, I already own it and it’s paid for and the other watches just don’t offer tons more features to convince me I should make a switch right now. Still, the Huawei Watch 2 is a very good option and it has many positive reviews and a better build quality than the Ticwatch, so if you don’t already have a Wear OS watch I’d look closely between the Ticwatch E & S due to their affordability and the Huawei Watch 2. Just know that a Huawei Watch 3 is probably in the works and might be released later this year but I can’t say for certain when. I love the looks of both the Misfit Vapor and Zenwatch 3 but both are missing key features I would prefer any smartwatch to have. 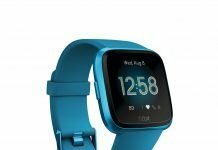 The Vapor lacks a speaker and only has connected GPS and the Zenwatch 3 lacks a heart rate sensor and also built-in GPS. If you’re just wanting a smartwatch that supports Google Play apps then I’d take a look at those refurbished units of Asus. The Zenwatch 2 is still a cool watch if you don’t need fitness tracking. What I’m really waiting for is the Ticwatch 3, assuming one is coming. I sure hope one is coming! If it has a better HR sensor, more accurate built-in GPS, better battery life and runs Wear OS to boot, it’ll be exactly what I’m wanting in a new Wear OS watch. My Ticwatch E is fun and reliable but I still prefer the build quality and looks of the Ticwatch 2, even though it doesn’t support Wear OS. Previous articleIs Your Fitbit Cardio Fitness Score a Good Indicator of Overall Health? Next articleFitness Trackers for Kids!